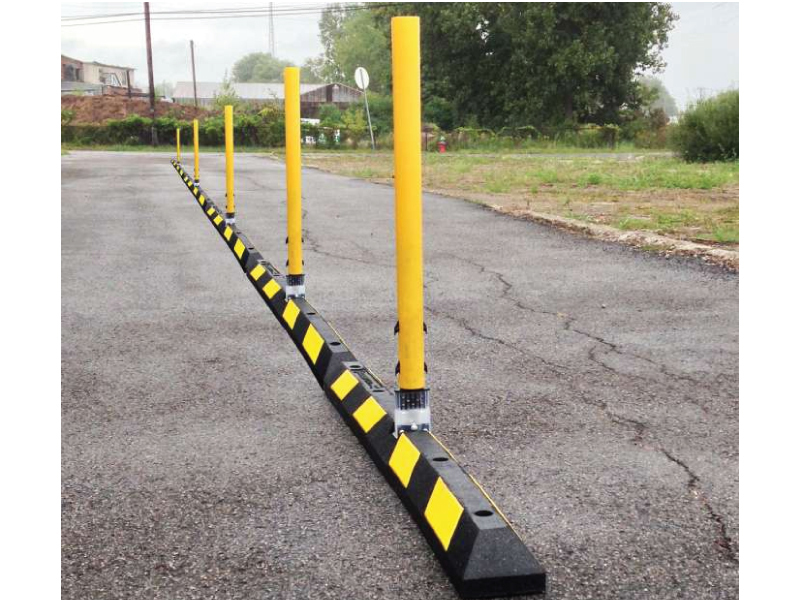 RubberForm’s Delineator Curb System is a durable, high performance traffic separator that provides an efficient and cost-effective channelization of traffic on freeways, toll-ways, city streets and rail-highway at-grade crossings. 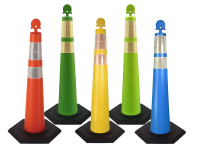 The curb portion is made with recycled rubber and features 4 colored stripes on each side of the product, available in both standard safety yellow and white. 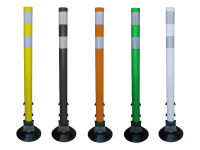 Each delineator post is manufactured using color impregnated polycarbonate extrusion and flexible hinge creating a virtually indestructible delineator post. 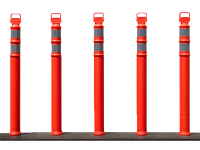 Each post is rated to withstand over 75 hits at 55 mph. 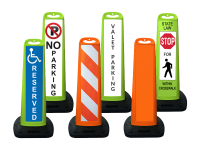 Posts are offered in either round or flat profiles in safety yellow or white colors and get screwed into the rubber curb to complete assembly.